As the French and Chadian armies sweep the AQMI mafia groups back to their adopted home in the Tuareg heartland of the Adar Des Iforas, the Malian army are inexplicably being left behind by the French campaign to reassert its own control, pretty much unmonitored over the liberated regions. This is the military that crumbled before the MNLA rebellion that kick started the crisis, the military that enacted the coup d’etat that allowed the MNLA take over of the north and the islamist invasion, the military who recently had a pop at each other in Bamako, and the military who have over the course of Mali’s history committed atrocities against the northern population. Now the international games of charades and musical chairs, of Al Qaeda, coup d’etats and islamist ideology, of acronym wars, of AQMI, MUJAO and Ansar Dine are coming to an end. Now we are back to square one. Mali and the Tuareg, north and south, black and white. The lyrics are old and have long been written in the country’s national slogan: “Un Peuple, Un But, Un Foi” - One People, One Goal, One Faith. Before, this slogan was repeated with a plea for unity in this historically divided country. Today there is something sinister in the cry, a tone that suggests “One Scape Goat” should be added to the slogan. Although Malians in the south saw their army and political class wither away without a fight against the MNLA rebellion; although they openly acknowledge that their popular President ATT handed over his seat of power out of expediency and thus enabled the coup d’etat and the subsequent division of the country; and although they then all looked on exasperated as the unknown coup leader Captain Sanago, the weak remnants of government and a divided and demoralised military did nothing, and so permitted, the mafia terrorist (AQMI) allies of their former President, with his homemade militia (MUJAO), to take over the north from the secular separatists (MNLA) and threaten sharia law and the making of an Afghanistan of Mali, for the Bamakois there is only one culprit for their nation’s year of charades. As 2012 wound up and Malian's contemplated the worst year in their independent history, the UN announced its imaginative new strategy for dealing with the country's crisis: nothing until September 2013. Prior to this Susan Rice, the US ambassador to the UN, described the French plan for intervention in Mali as "crap". At this point the spectre of another Somalia or Africa's Afghanistan looked like a horrifyingly realistic prospect as the international community turned its back on the black hole that Mali was becoming. At the outset of the Mali crisis I felt that the worst possible scenario was France getting involved on its own. Being the former colonial power it has complicated relations with the different parties, and their intersts in the resources of the region worried me. But now I find myself in a strangely upbeat mood. At last someone is doing something. Mali's prime minister is arrested and resigns in a second bloodless coup. Who gains? On Monday night, as he was about to leave for Paris, Cheikh Modibo Diarra, Mali's interim Prime Minister was arrested at his home in Bamako, bundled into a car and driven off to face Captain Sanago and his junta. Someone didn't want Mr Diarra to get to Paris. "Our country is living through a period of crisis. Men and women who are worried about the future of our nation are hoping for peace. 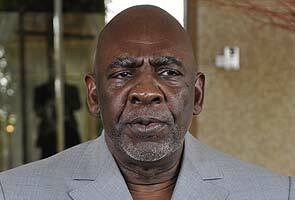 It's for this reason that I, Cheikh Modibo Diarra, am resigning along with my entire government on this day, Tuesday, Dec. 11, 2012. I apologize before the entire population of Mali." Mali suffered its second bloodless coup this year, just as the glimmer of hope of dialogue between the Malian government, MNLA and Ansar Dine seemed to be appearing on the horizon. It is hard to see who gains from Diarra's removal, especially if you are looking at this from the perspective of searching for a solution. These boys are from Mali. You see their like throughout Africa - the continent of your ancestors, indeed of all our original ancestors.